'VIKINGS' follows the adventures of Ragnar Lothbrok (Travis Fimmel), an actual historical figure, and the greatest hero of his age. The series tells the gripping sagas of Ragnarâ€™s band of Viking brothers and his family, as he rises to become King of the Viking tribes. As well as being a fearless warrior, Ragnar embodies the Norse traditions of devotion to the gods â€“ legend has it that he was a direct descendant of Odin, the god of war and warriors. Along with his crew and family, Ragnar takes the longships, that he and Floki (Gustaf Skarsgard) built, and challenges a ruler. The series follows them as they journey and continue their conquests. 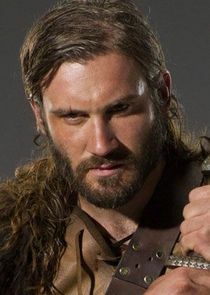 Created by Michael Hirst, this historical drama also stars Clive Standen, Gabriel Byrne, Nathan O'Toole, Katheryn Winnick and Jessalyn Gilsig.